As someone who suffers from mental illness I certainly know how it feels to struggle to get out of bed in the morning. So why shouldn’t we celebrate when those magical days come and we are able to seize the day? You know the ones when you’re up and maybe even showered before noon, who knows, maybe even breakfast? Hell yeah! The small victories can be the greatest! For those of you who follow me will know that I’ve been writing a self care series. 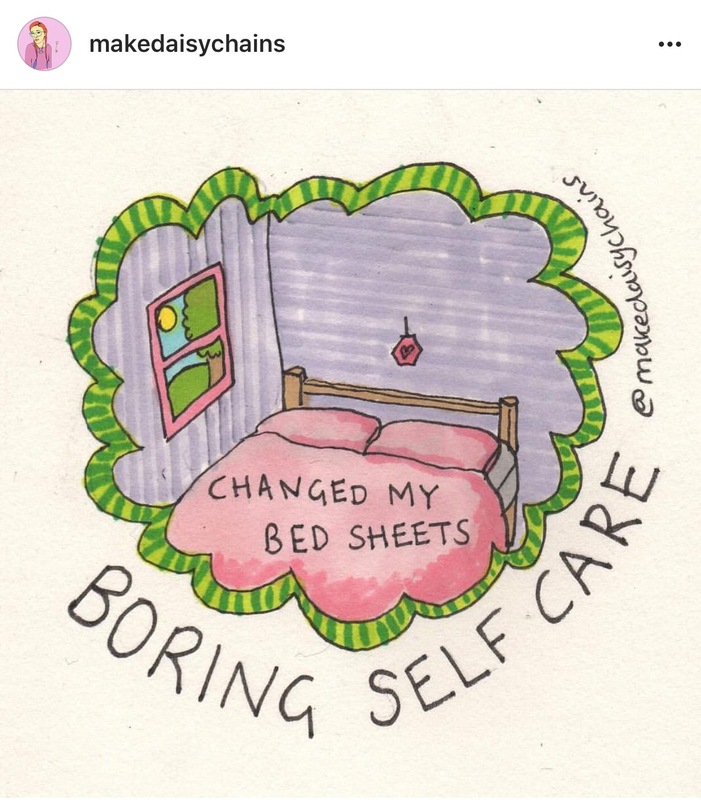 Each Sunday I have shared with you all several different ways to self care and some that are personal to me. Self care is very individual and it is important to find yourself and know what things you can do to relax and be happy. Though as self care has almost become a buzz word now it can lead you to believe that in order to truly look after yourself you must do something grand or extravagant. This is simply not true; you do not have to book a holiday, go shopping, to a spa, or get a manicure. For self care can be mundane everyday tasks that some days we don’t even think twice about doing but other days they feel impossible. You know the simple stuff like washing the dishes, taking your medication, eating your dinner or getting dressed. 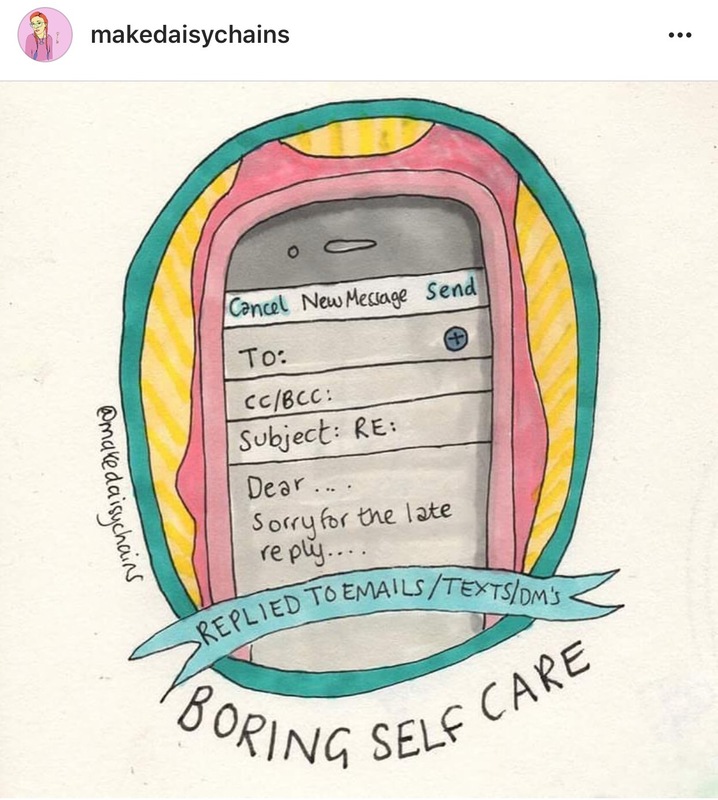 These forms of self care are essential for a good standard of a day to day living and unfortunately people with chronic illness, disabilities and mental illness can struggle to carry out these everyday tasks. 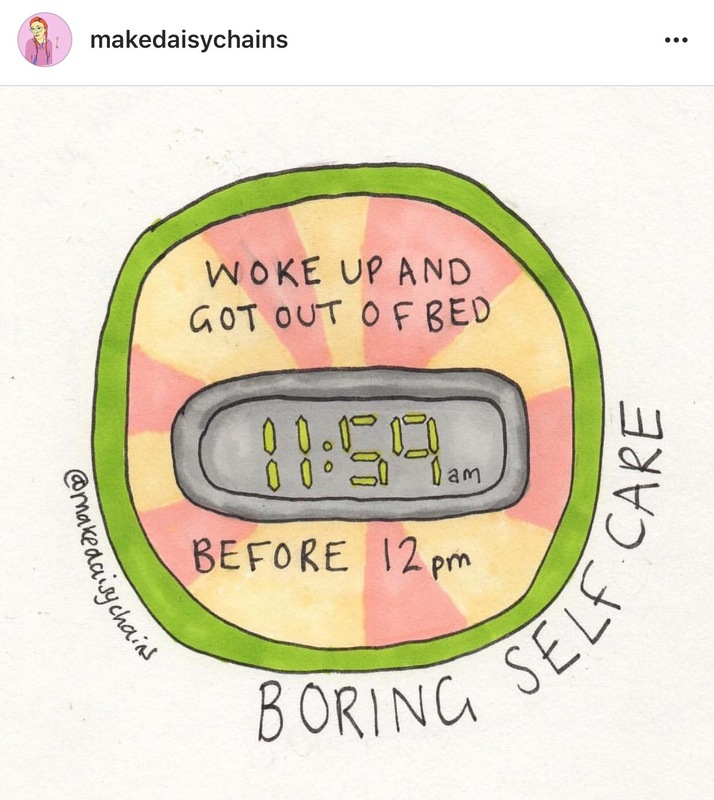 Makedaisychains illustrates what #boringselfcare looks like on instagram with a series of relatable drawing celebrating small acts such as changing the lightbulb, getting some fresh air and doing the laundry. Followers have even started engaging with the hashtag to share how they are looking after themselves in small but mighty ways! 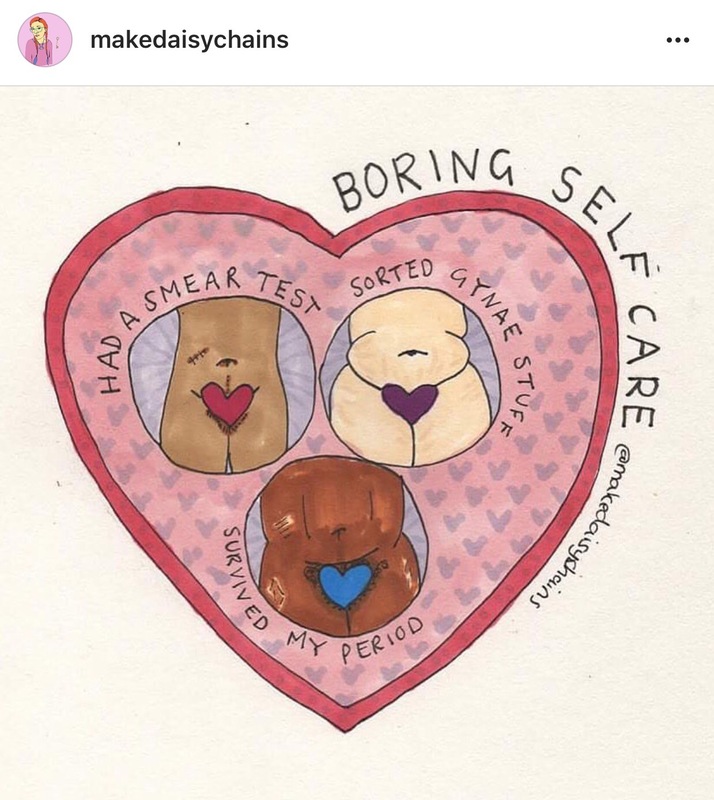 Check out Hannah Daisy’s instagram account here, she has almost 27k followers which I believe shows how many people can relate to the struggle of living with a debilitating illness. There is a great message behind the images, that we must celebrate the small and sometimes boring acts as they really are a true victory!